Kilian Bron sets out on on a brutal sandy climb to a mountain bike descent down Cerro Blanco at 6818 foot, world’s highest sand dune. Smooth sand and a view as far as you can see, makes for a killer mountain bike dune surfing opportunity. We’re guessing the drone or mini-drone accompanied Kilian to capture the lines and views for this one. 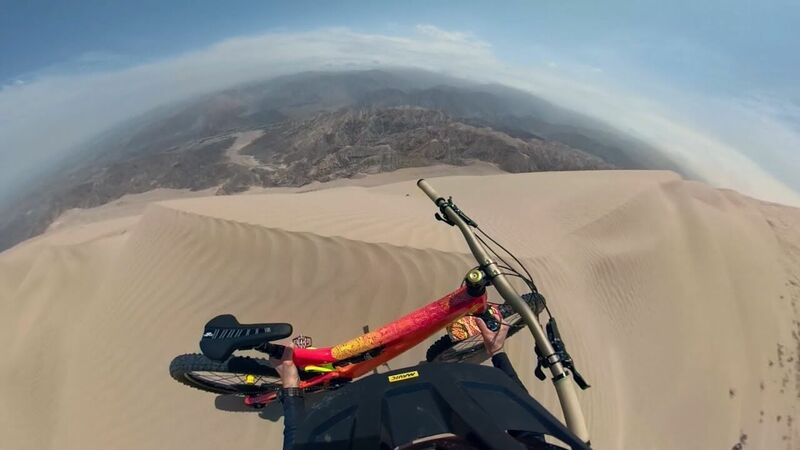 Choose any line, make any lines, the sand dune is a blank canvas, this ride looks like a blast.